Here at J. Thompson Builders we pride ourselves for our creative attention to detail and encourage creative design and solutions to solve the issues that arise during a construction project. 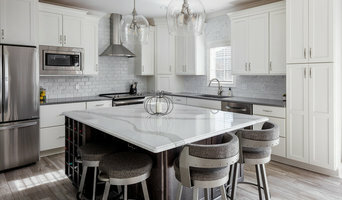 J. Thompson also specializes in the "Unique", for the past 15 years we have worked with clients who desire a "rustic" yet luxurious finish and atmosphere. We call it "Urban Lodge"! Check out our website for ideas and examples. Addition Doctors has been building dreams around Boone and Story County Iowa now for 25 years or more, and we still savor the challenge to do another house remodeling project for you folks that appreciate quality work. Consider us friends you can rely on for your next remodel project. Whether you're from Ogden, Ankeny or anywhere in Story County Iowa, you will experience first hand the timeless value a home upgrade can do for you. Addition Doctors specializes in friendly house remodel services just the way you like it, complete with a smile. What do you have to lose? Cabinet Boutique is a full service kitchen and bath design showroom. From current trends to timeless designs, our products give us the ability to create what our customers want and the flexibility to fit every budget. Our knowledgeable design team provides personable service through every step of your project; from preliminary design to project completion and servicing thereafter. We give our clients the ability to feel confident and proud of their final product by providing innovative design options, budget opportunities and expert advice. K and V Homes is a custom homebuilder and remodeler serving the greater Des Moines, Iowa metropolitan area. We can work with an existing home plan or create one for you. Building in all price ranges and styles, we will help you with your dream of constructing a new home that is truly a reflection of your tastes and styles. *Authorized Dealer of Shaw Floors* We are excited and eager at Flooring America to get to know you and help you with all of your floor covering needs. We offer in-home service and are very experienced in the commercial area. We look forward to meeting you at our Clive, IA, location. Thank you for your continued business throughout the years. Unique Homes is a premier, award winning builder in central Iowa. We create architecturally grand and luxurious homes that blend imagination, excitement, privacy and warm, comfortable environments. Our homes are unique to each client. They are known for their rich interior wood, iron treatments, faux finishes and volume ceilings. They also are renowned for their walls of glass, grand staircases, elegant fireplaces, pools and spa baths and creative blends of interior and exterior spaces. 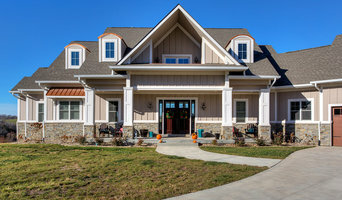 Coordinating the numerous details it takes to build our homes, Unique Homes has assembled a team of professional employees, subcontractors and suppliers. They bring proven knowledge of their respective areas, while adhering to the company’s commitment to meticulous attention to detail and excellence in everything they do. 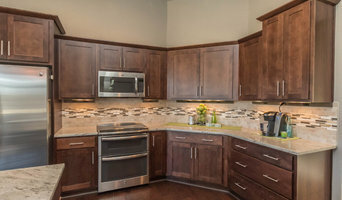 PREFERRED BUILDER in WEST DES MOINES, IA. Custom Home Builder and Luxury Home Remodeling. Earning 5 STAR REVIEWS from our clients, your neighbors, since 1957. 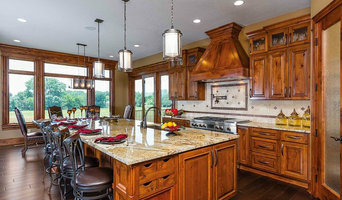 Founded in 1957, MainBuilt is recognized as an outstanding unique custom home builder in the Greater Des Moines Area. As the company has grown over the years, we have also developed secondary niches in fine remodeling and restoration services. We accomplish more than creating custom-built homes; we help make any home feel new and personalized. There is no request too unique or difficult. From unique features inside to obscure locations, we have the experience and resources to make your dream home a reality. MainBuilt invites you to join their exclusive client community by calling 515-207-6836 or by contacting Mark at info@mainbuilt.com. Windsor Windows & Doors was established in Des Moines, Iowa, in 1946. By crafting some of the finest windows and doors available – and asking fair prices – we’ve built our reputation of quality and value among architects, builders, contractors, and homeowners. We are proud to have consistently earned an A+ rating from the Better Business Bureau, as it is a testament to our commitment to superior customer service and our goal of being easy to do business with. Our products are all custom-built and each product is designed to meet your specific needs, depending on architectural style, regional preference and price point. We manufacturer 4 distinct product lines: - Pinnacle wood and wood/clad - Legend cellular PVC - Next Dimension vinyl - Revive pocket replacement windows in wood/clad, vinyl, and cellular PVC hybrid. Our goal is to provide short turn around times, reliable delivery dates, and the flexibility to respond to custom requests. Windsor provides the perfect blend of superior quality, exceptional service and a fair price. We don't just build windows and doors... we build lasting relationships. Windsor Windows & Doors is an ENERGY STAR® partner and an AAMA, NFRC and USGBC member. Windsor products are certified and labeled according to the guidelines established by the National Fenestration Rating Council (NFRC). This means that Windsor's windows and doors meet exacting standards for energy efficiency and durability. You can find Windsor products at select dealers throughout the United States, Mexico and Canada. For more information, visit us at <a rel="nofollow" target="_blank" href="http://www.windsorwindows.com">http://www.windsorwindows.com</a>. To find a Windsor dealer near you, please visit the Dealer Locator on our website at <a rel="nofollow" target="_blank" href="http://www.windsorwindows.com/dealer-locator">http://www.windsorwindows.com/dealer-locator</a>. Testimonials can be found at <a rel="nofollow" target="_blank" href="http://www.windsorquality.com">http://www.windsorquality.com</a>. Windsor Windows & Doors is proud to be a Woodgrain Millwork company, a family owned and operated company that has grown to be one of the largest millwork operations in the world today. Learn more at <a rel="nofollow" target="_blank" href="http://www.woodgrain.com">http://www.woodgrain.com</a>. We believe you shouldn't have to pay a premium to get the highest quality windows and patio doors, and Windsor offers one of the best values in the industry. But before you start sending out dozens of emails and making phone calls, sit down and think about your project. What's your budget? What is the scope of your project? 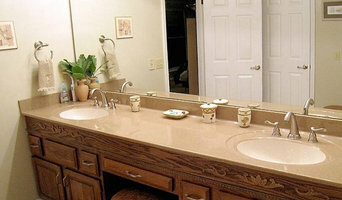 Will you need more than one type of professional to complete your home improvement project in Polk City, IA? Can you afford to complete the full project now, or should you tackle it bit by bit? Once you've settled on your project’s priorities, budget and scope, it's time to start researching Polk City, IA home design professionals. Don't sell yourself short and settle on the first professional you set your sights on. Make sure that you're working with someone local, who can get to the jobsite easily and efficiently. Look into the person’s reviews, ask to speak with former clients and to see previous jobs in person. Take a good look at their portfolio photos: How similar are these projects to your own? Be honest — that mansion might look beautiful, but it might not have a lot in common with your little bungalow. Reach out to multiple professionals — especially for larger projects — and don't settle for the first bid you hear. Comparing multiple Polk City, IA professionals' bids and experiences can help you find the one that’s best for you. Ask a lot of questions now, so you won't have unexpected answers later. Find a home design professional on Houzz. Narrow down your search by type of professional and location. Browse Polk City, IA portfolio photos, read client reviews and contact each Polk City, IA professional for more information. Check out the information in the specialized professional sections too for tips on how to hire the right professional for your project.